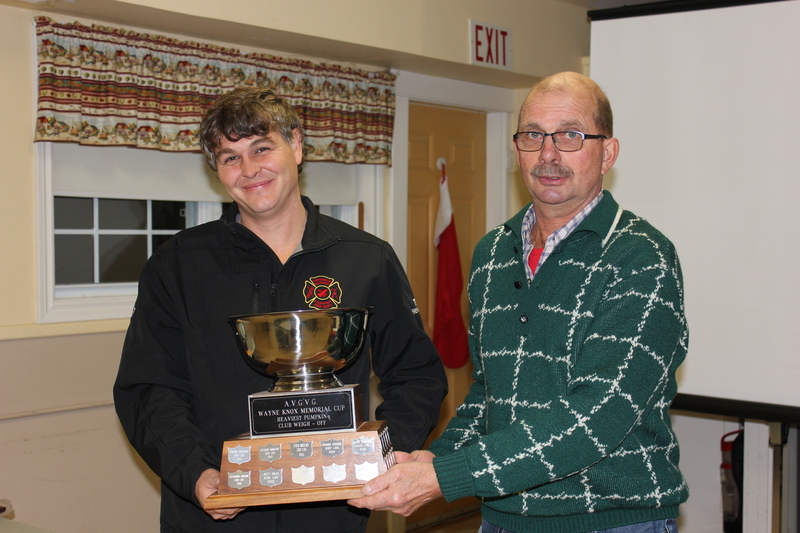 On February 26, 2018 the Annapolis Valley Giant Vegetable Grower’s Association (AVGVG) held its’ Annual General Meeting. Ron Muis was elected President for the 2018 – 2019 year. Ron has made tremendous commitments to the organization over the years, including the President’s role since 2016! Shown above is Ron at the 2017 AVGVG Glad Gardens Weigh-off with his tractor. 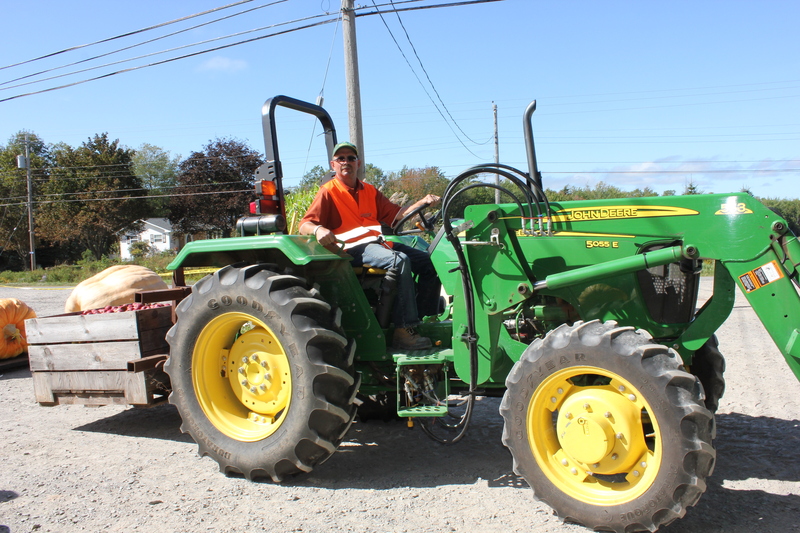 Ron loaned his tractor to the event and did “all the heavy lifting” of the giant pumpkins and other gigantic vegetables. Thanks for all you do Ron!! 2017 Master Grower Results are in ! The Annual Meeting of the AVGVG will take place at the Windermere Hall in Berwick, Nova Scotia on Monday February 26, 2018 at 7:00 pm . Please plan to attend as we discuss the plans for the upcoming year, review financial results and other business that comes before the club. 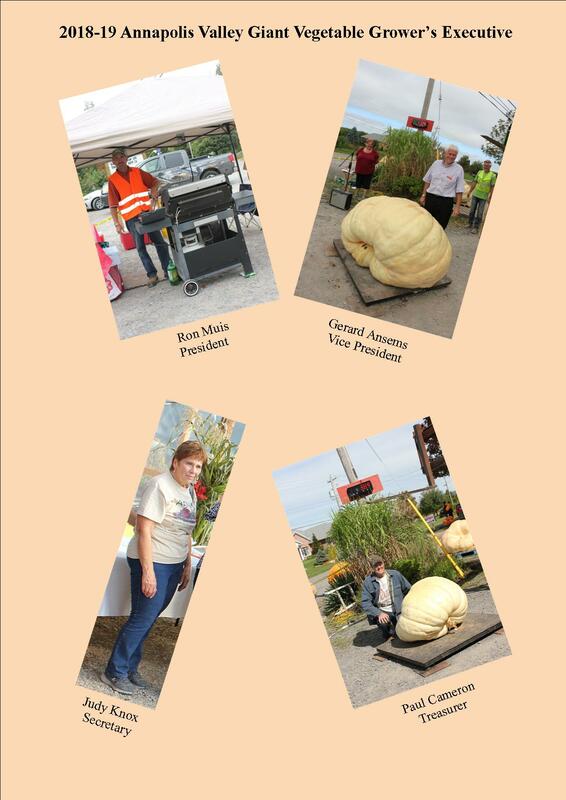 The Annapolis Valley Giant Vegetable Growers (AVGVG) has a great Silent Auction underway on the BigPumpkins.com Seed/Auction Message Board. Fred Ansems has put together some great seeds from both our local growers and others to support our club activities. You will find a huge selection of Pumpkins, Long Gourds, Bushel Gourds, Field Pumpkins and Tomatoes to get you off to a great start in 2018. All of the bidding details can be found under the “Important Information” post. We want to take the opportunity to thank all the terrific growers who donated seeds to help support our club. All funds raised go directly to the operation of the AVGVG. Details on the club and our activities can be found on our web site www.avgvg.com or look us up on Facebook under Annapolis Valley Giant Vegetable Growers. Please have a look at our offerings and post a bid for your chance to get some great seeds! Bids start at $15 please with $5 increments. All bids are in dollars from the country that you are bidding from. All seeds came from the original grower with no guaranty of germination. Lots with more than one set will be offered to the highest bidder and they can have one or all sets , the next highest bid can take any sets not taken by the highest bidder. Bidding will start at 8:00 pm Big Pumpkin time Dec 18,2017. Bidding will end at 8:00PM Big Pumpkin time on Dec.22,2017. 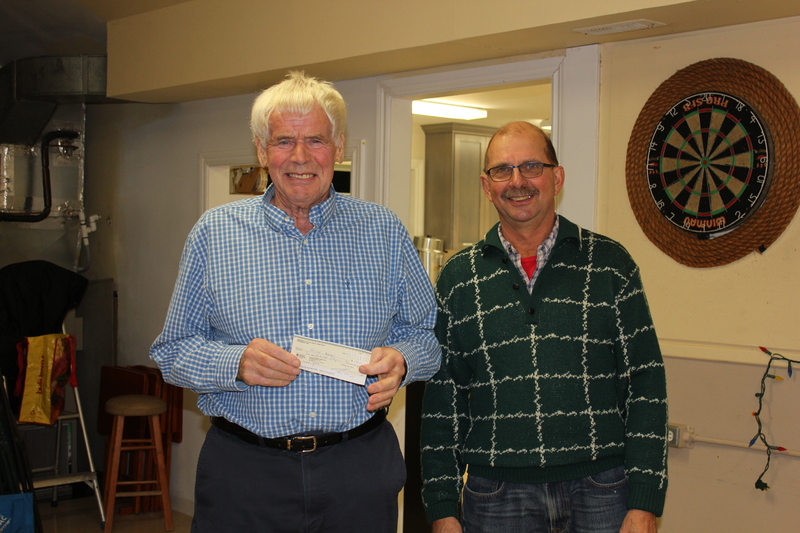 At our recent Christmas Social President Ron Muis presented Gerard Ansmes with a cheque for $250 as the winner of this years bushel gourd contest. Gerard grew the largest bushel gourd from the 108 Nieuwenhoff seed weighing in at 262 Lbs. This was the first year for most AVGVG members growing this new GPC Vegetable and not only did Gerard win the contest but also placed second in the world rankings. Thanks to John Nieuwenhoff for providing the seeds to all of our members.